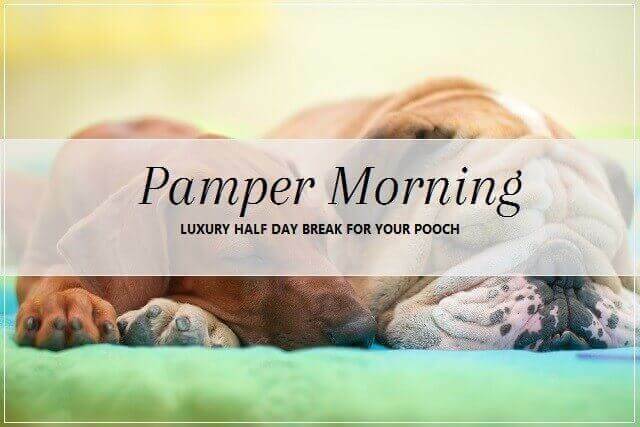 Does your pooch need a morning of pampering? Why not treat them to a super relaxing session while you are at work or having a morning break yourself! pooch is ready for collection looking beautiful and smelling fab! For pooches getting treated to something from our Boutique a 10% discount on all accessories and grooming products is offered on the day. Should you wish to extend your pooch’s time at the Spa we offer a creche facility at £10 per hour. At this time this service is only available for small to medium size dogs. To book call us now on 01252 216 100 or book online here.